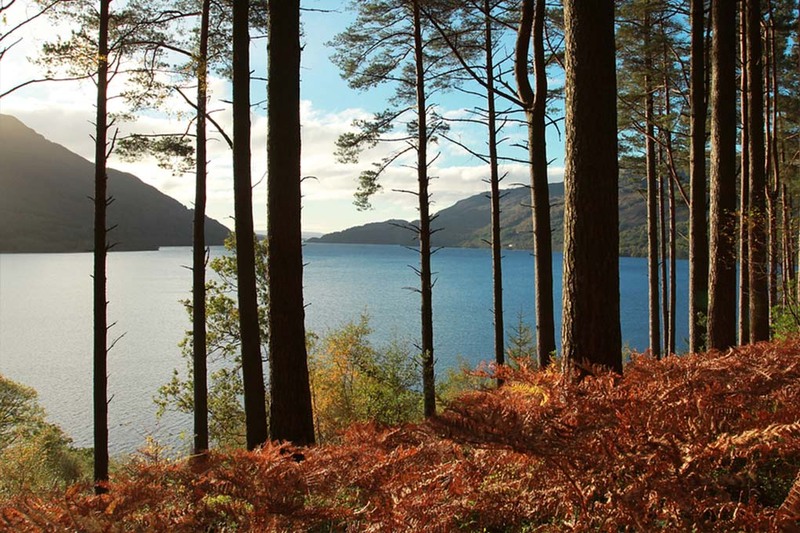 Would you like to discover the largest freshwaters of Loch Lomond or experience the scenic Scottish Highland railway? We have a wide range of coach holidays to Scotland. From the great cities of Edinburgh and Glasgow to the stunning surroundings of unspoilt Highland villages, Scotland is a diverse country with its rich history, breath-taking landscapes and spectacular wildlife. 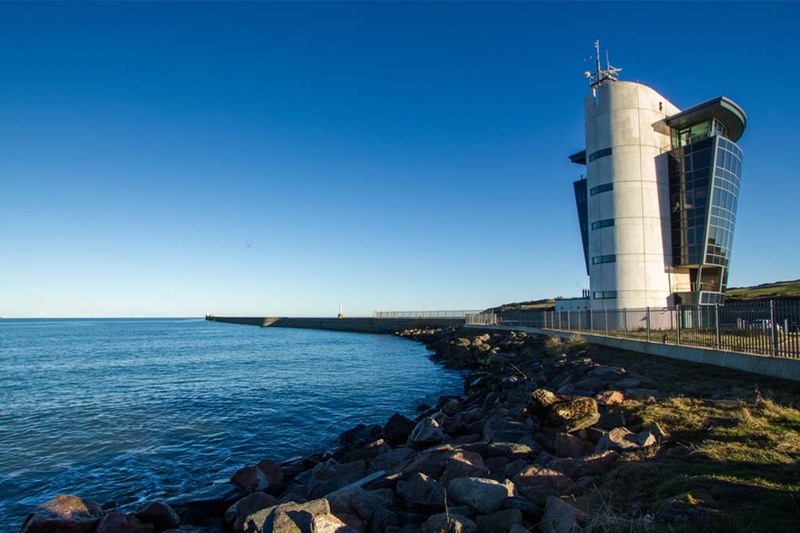 Take a coach break to visit the 'Granite City' of Aberdeen, a vibrant city that lies on the edge of the North Sea between the Rivers Dee and Don. 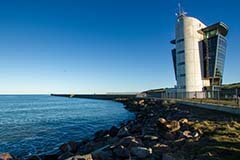 Aberdeen is surrounded by beautiful beaches and rugged scenery and is an ideal place for a peaceful yet exciting break. We have a range of coach trips to Aberdeen from short breaks to lengthier tours that take in Aberdeen and other areas of Scotland. Top places to visit in Aberdeen are: The Gordon Highlanders Museum, Duthie Park Winter Gardens and Aberdeen Maritime Museum. 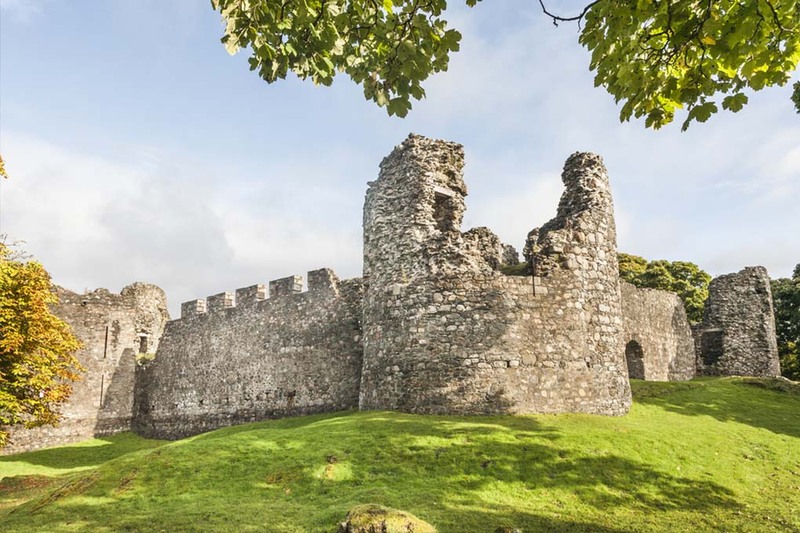 Most coach tours that featuring Aberdeen also may include staying in the lovely village of Braemar, a scenic drive through spectacular Royal Deeside, a journey to the Speyside Cooperage where you can experience the ancient art of coopering and excursion to magnificent Ballindalloch Castle. Historic Edinburgh is one of the best place to visit in the UK. Everyone should visit this wonderful capital city at least once to explore medieval streets of the Old Town, visit numerous galleries, museums and of course the impressive castle. The atmosphere and the history of Edinburgh will bring you back to the Middle Ages. The majority of coach holidays to Edinburgh are going in August to see the most spectacular show in the world - The Royal Edinburgh Military Tattoo. But the best thing is that Edinburgh has got something going on pretty much every day of the year. 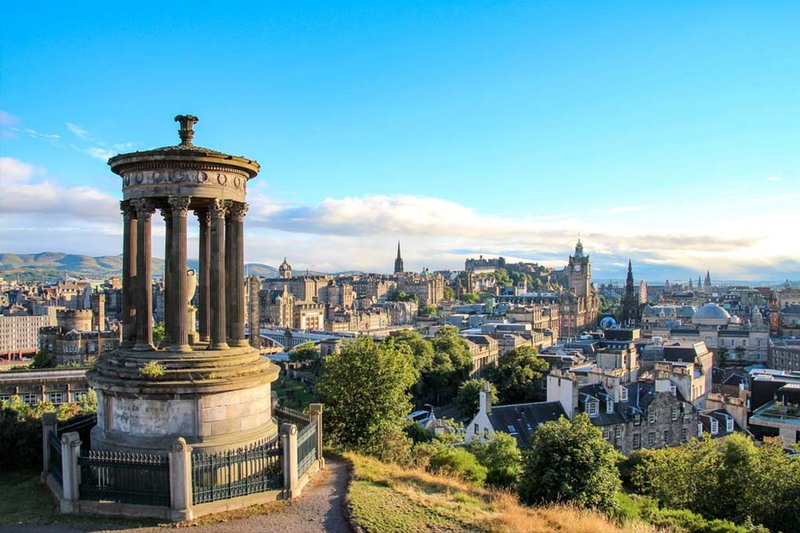 Places to visit in Edinburgh: Arthur's Seat, Edinburgh Castle, Royal Yacht Britannia, National Museum of Scotland, Palace of Holyroodhouse, Royal Botanic Garden Edinburgh and more. Go north, keep going, a little bit more! Inverness is the 'Capital of the Highlands' takes its name from the River Ness, which flows from the world famous loch. 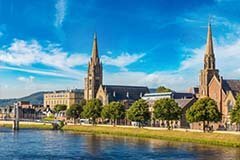 The ancient city of Inverness is nestled amongst the spectacular countryside, and boasts an array of historic buildings including the beautiful red sandstone Inverness Castle and impressive St. Andrew's Cathedral, along with a range of museums, galleries and unique little shops. Visiting Inverness is included on most coach tours traveling to the north of Scotland. 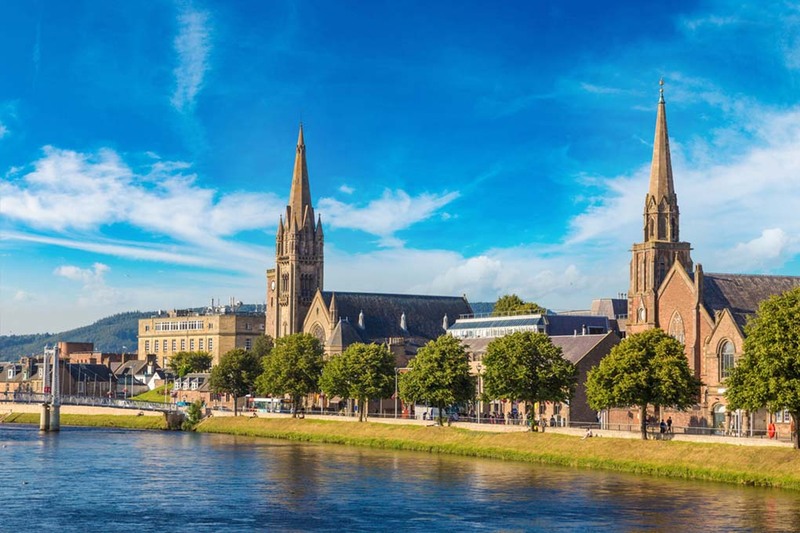 Being in Inverness you might like to take a stroll along the waterfront passing the glorious cathedral, see the castle, visit Fort George or go on a boat cruise to see the dolphins and otters in the Moray Firth. 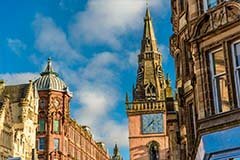 Enjoy a trip to the lively and modern city of Glasgow as a part of your coach holiday to Scotland. 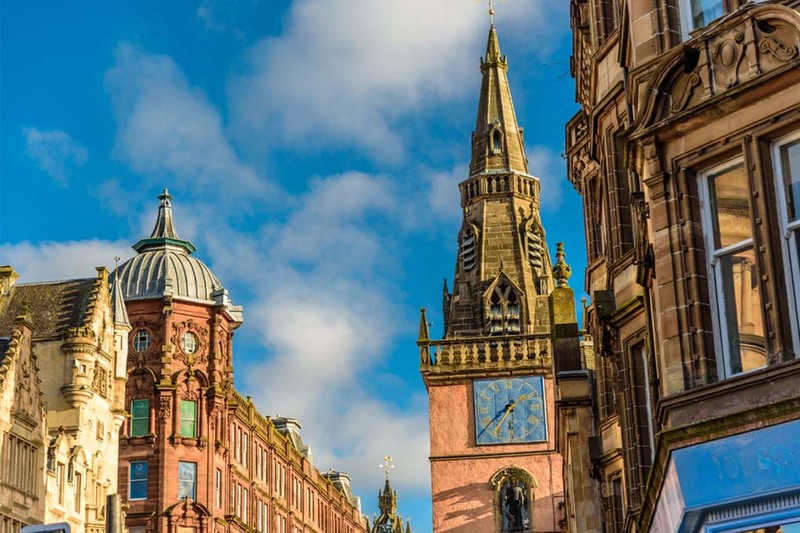 Glasgow has become one of Europe's most dynamic and cultured cities, full of fantastic museums, galleries, magnificent Victorian architecture, fabulous shopping and delightful parks beside the Clyde. There is so much to see and do here, top places to visit in Glasgow are: Kelvingrove Art Gallery and Museum, Buchanan street and The Riverside Museum of Transport and Travel. 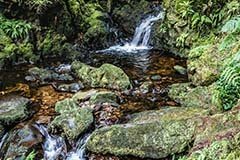 Discover the stunning beauty of Loch Lomond & The Trossachs National Park, with glittering waters, dramatic mountains, breathtaking views and pure air, this treasure trove of unspoilt delights makes for a perfect coach break destination giving you a real flavour of Scotland. 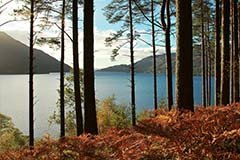 When taking a coach holiday to Loch Lomond it is recommended to visit Balloch Castle Country Park and sail on the lovely Loch Katrine. Welcome to the best of the West Highlands. Fort William is the most popular West Highland resort lying in a beautiful location at the foot of Ben Nevis, Britain’s highest mountain, and overlooking the peaceful waters of Loch Linnhe. As a touring centre, Fort William is a perfect resort to visit by coach to enjoy the stunning scenery of Scotland. The most interesting things to do and to see near Fort William are: magnificent Ben Nevis mountain, the West Highland Museum and a trip on the Jacobite Steam Train. Enjoy breathtaking views all day long as you traveling by coach up Scotland’s spectacular west coast. 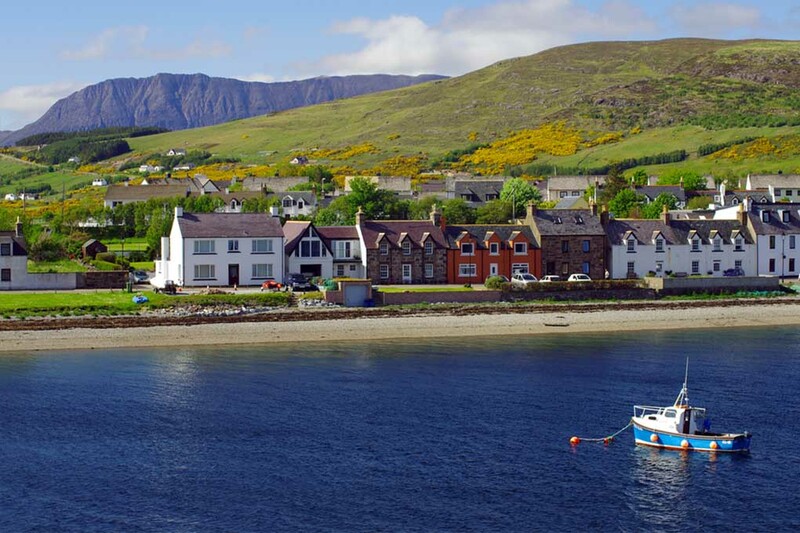 The picturesque fishing port of Ullapool is located on the shores of the fjord-like Loch Broom, well known for its beautiful location and friendly charm. Here is some of the most beautiful unspoilt scenery in the world. 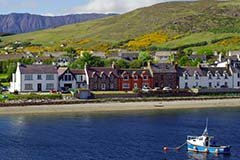 Visiting the beautiful resort of Ullapool with its scenic setting, colourful harbour and whitewashed cottages is a joy any time of year. 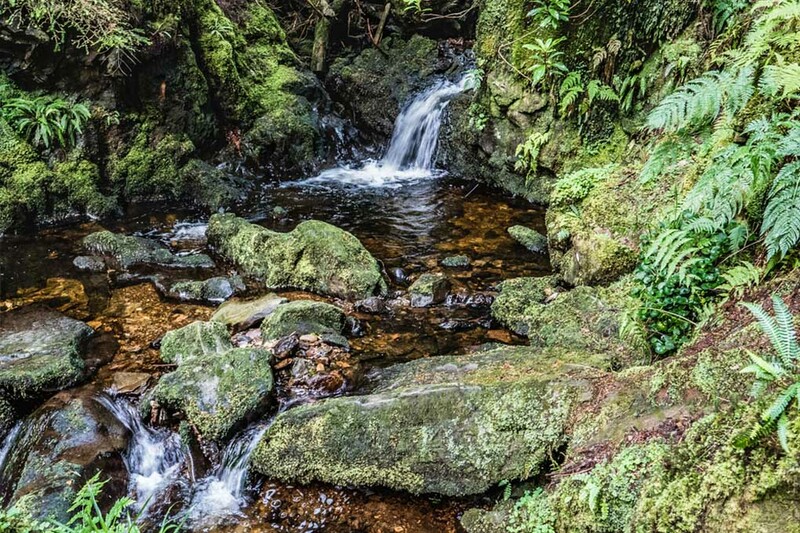 Nestling on the shores of the Firth of Clyde, where Loch Long and Holy Loch join the sea, Dunoon offers a perfect base for seeing the spectacular mountain scenery in the Argyll Forest Park and exploring the area along the beautiful Cowal Peninsula. Dunoon is the perfect place in Scotland to relax and unwind, stroll along the promenade, explore the historic pier and gardens, or simply sit back and watch the ever-changing seascape. 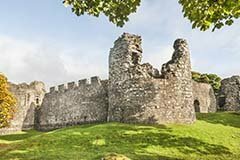 Top places to visit in Dunoon are: the remnants of the 12th century Dunoon Castle and The Castle House Museum. Enjoy a scenic drive on a coach along the shores of magnificent Loch Ness surrounded by the towering Scottish hills. Learn more about the mystery and legend behind this famous loch on a lovely boat trip. Make sure you have your camera at the ready just in case you see the Loch's most famous resident! 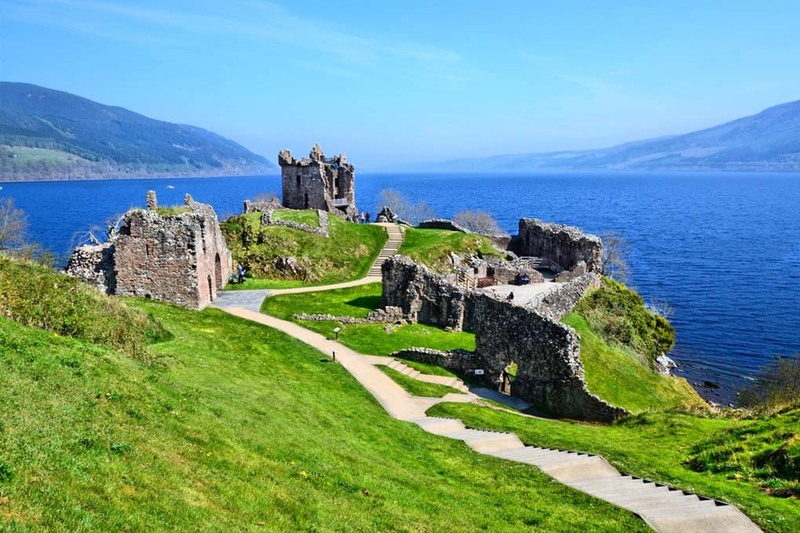 Top things to see near Loch Ness would be: Urquhart Castle, The Falls of Foyers and Fort Augustus. 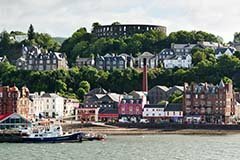 Enjoy coach holidays to the beautiful bayside town of Oban with panoramic views of the surrounding mountains, islands and sweeping bay. 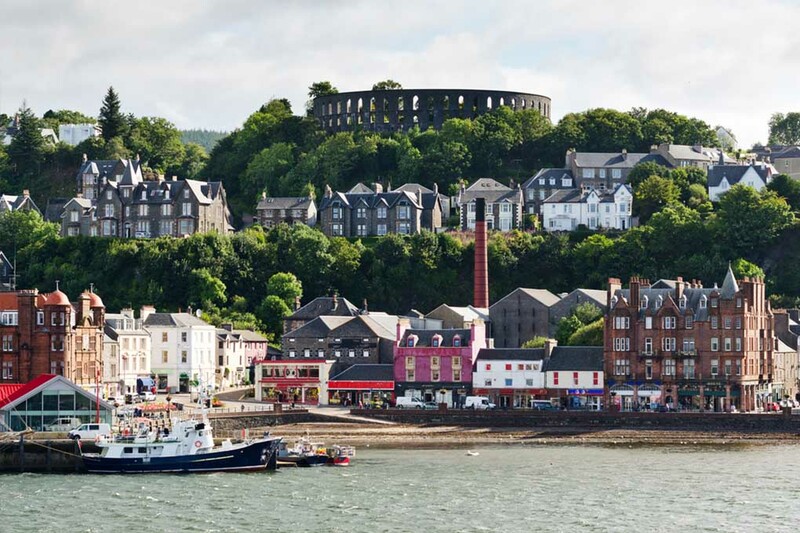 Known as the “Gateway to the Isles”, with pretty harbour and ferries sailing to Mull and other islands, Oban is undoubtedly the most popular resort and touring centre in the Western Highlands since Victorian times. The town boasts a level esplanade, whisky distillery and excellent facilities for water sports, as well as Pulpit Hill with stunning view across the harbour to Kerrera, not to mention a memorable Highland sunset. Stunning Scottish Highlands evoke images of spectacular views, towering mountains, ancient pine forests and dark, shimmering lochs and the very best railways through these vast and wondrous landscapes. 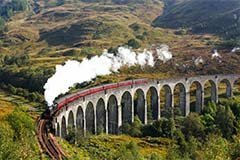 Most coach holidays to the Highlands offer you the opportunity to experience some of the greatest train journeys in the world, from the spectacular Kyle Line to the famous West Highland Railway and the amazing Jacobite Steam Train. Make sure you do not miss the oportunity to join these amazing railway journeys to ensure that you leave the Scottish Highlands with wonderful memories to treasure. Whenever you choose a coach holiday or coach tour to Scotland you are sure to find plenty to see and do. If you cannot find a suitable coach holidays to Scotland contact us us and let our experienced travel agents help you find your perfect coach holiday to UK and Ireland. Remember, we are the UK's leading coach holiday website and have excellent value coach holidays to the UK and Ireland with the widest choice and best prices.